You need a great automobile to get around Petoskey whether you're traveling for a business trip or a vacation. See the top sites around the city and pull up in front of the popular restaurants in Petoskey. 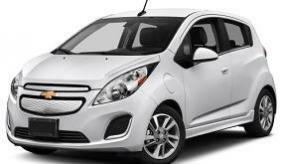 CarRentals.com has answered the most popular questions about car rentals in Petoskey. Read on to see which vehicle is perfect for your trip, and how to get the best rates. Where can I get a bargain car rental in Petoskey? Just following even a few of these tips can help you save big on your Petoskey rental car. What rental companies have agencies in Petoskey? From global names like National and Hertz to budget-friendly brands like Thrifty and Budget, CarRentals.com has some of the best brands in the business. Read through the online reviews to get an idea of which one is best for you. What types and makes of rental cars are on offer in Petoskey? What's the age requirement to rent a car in Petoskey? Generally, the age limit for car rentals in Petoskey is 21—the same as it is across the rest of the United States of America. Additionally, many suppliers charge an added fee if you are under 25. Be sure to review the supplier's terms to figure out what the total will be before you reserve your rental. Is insurance required to rent a car in Petoskey? Most countries require the driver to have insurance. You may be able to purchase interim coverage with the rental car supplier. Otherwise, as a United States citizen, you can also book Collision Damage Coverage with CarRentals.com at checkout. Several credit cards (American Express, Visa, MasterCard, and Discover) will offer coverage. However, many of them have restrictions, such as not covering bigger automobiles like premium models or some SUVs. It is best to call and find out what kind of coverage is offered before you head to Petoskey. Should I get unlimited miles when I rent a car in Petoskey? If you plan to check out all that Petoskey and maybe even the rest of Michigan offers, you are going to need unlimited miles. You can drive as far as you'd like without worrying about additional charges. Read the fine print to make sure they are truly "unlimited." Use CarRentals.com to get yourself the best wheels Petoskey has to offer. Before you know it, you'll be going between the highly-rated restaurants, renowned landmarks, and all the fantastic sites in Petoskey.